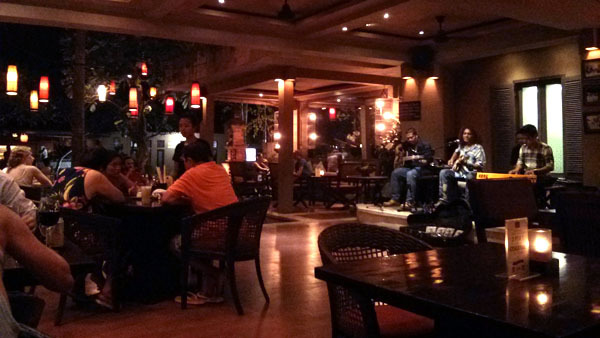 Siam Sally is the largest Thai restaurant in Ubud, located along Jalan Hanoman in a touristy area. It does however have a nice feel to it. They have a band playing some nights, and there was a funky foursome playing some tunes the night we dined there. The music was a mellow vibe of blended western and Balinese tunes. We did find it to be not quite the right establishment for this type of music, I would more expect to see it at a late night bar, or a funky casual eatery. It is hard to hold a conversation if you are sitting in the main area. 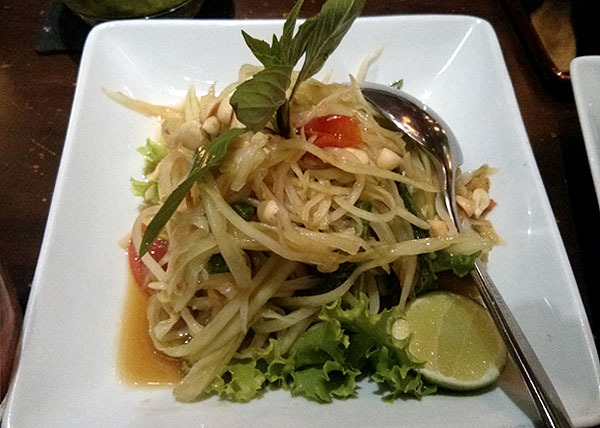 and a green papaya salad. 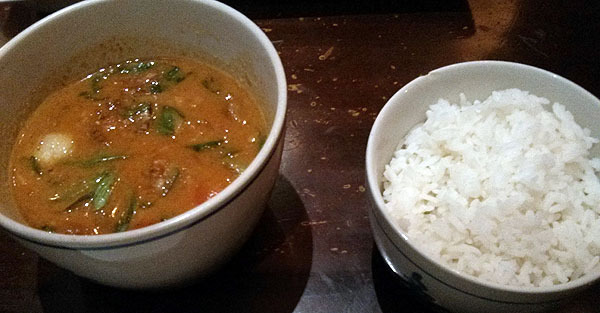 Both of these were really tasty and with the right level of spiciness. For main we had Roasted duck curry which surprisingly included lychees, which was surprisingly good. 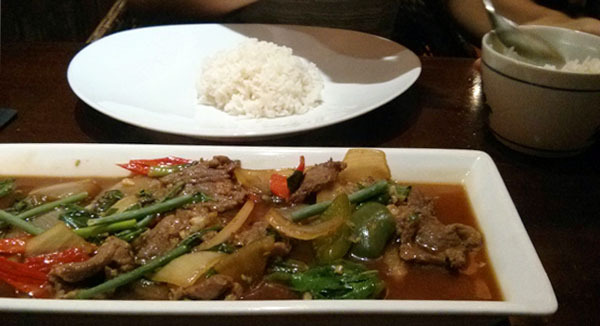 and a simple basil beef stir fry. Rob asked for the duck curry to be hot (from a choice of mild, medium or hot), however it wasn’t ‘blow-your-socks-off’ hot, it was only medium on our scale, and given that we are in Bali where the norm is very hot, this was a little out of sync. Both dishes were however, great tasting, and super satisfying. No dessert for us. Just an extra happy hour cocktail, which is on until 7pm. The staff were very friendly and kind enough to remind us when happy hour ended, allowing us to make one last order! 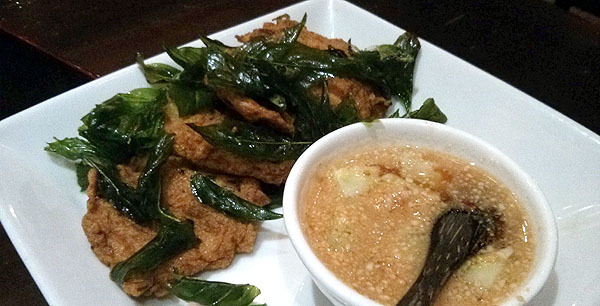 Overall this restaurant is a very nice place to enjoy delicious and authentic Thai food, with a nice atmosphere. They even have valet parking if you drive yourself there, what a treat.